Bushes and trees can serve more than one function in your yard. They complement the look of your landscape and over time, depending on their placement, begin adding an element of privacy as they grow higher and fill out. Hedge trimmers can help you keep your foliage looking well-kept in the transformation. Electric hedge trimmers are relatively lightweight and help you quickly manicure the shape of your shrubs. For the most efficient performance, determine the length of the blade you’ll need based upon the depth and height of the plants you’ll be maintaining – the deeper or higher the shrub or tree, the longer the blade you may want to use. Cordless hedge trimmers are particularly convenient, because once charged, not only are you free to use them without being tethered to a power source, but many are still comparatively lighter to their gas-powered counterparts. Battery powered hedge trimmers do require a recharge after a certain amount of use however. So, it’s always wise to ensure these hedge trimmers are completely powered up before beginning the task. Check out our power hedge trimmers guide for more information. 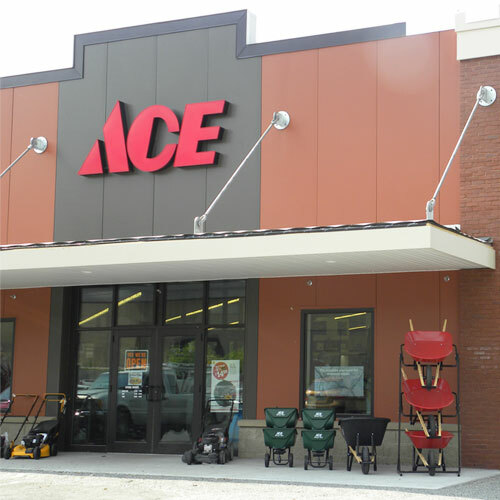 You’ll also find additional outdoor power equipment to help your yard look its best at your local Ace.